Gardner Ranch Outfitters owns, or has leased access to, several hundred square miles of prime hunting in southeastern Montana. Rolling hills are cut by brushy draws and meandering creeks. The highest ridges are covered by pines, but are readily accessible in a four-wheel vehicle. 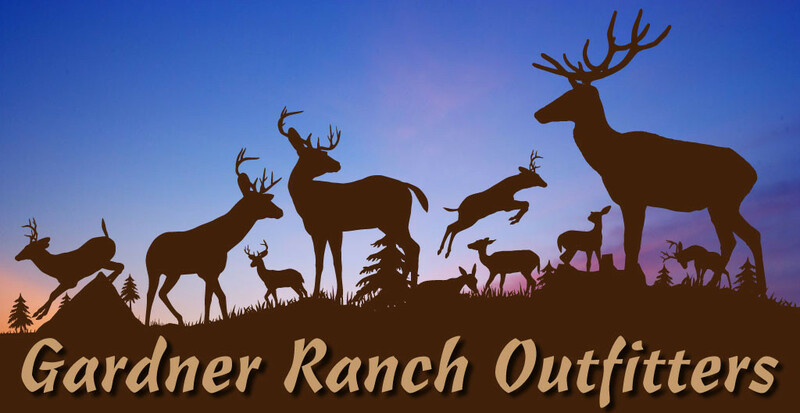 Tell your friends about Gardner Ranch Outfitters. Temperatures during the early hunting season will range from a high of 60° to a low of 25°. Early in November, we can expect snow and colder weather. While you plan for the fall weather, it is always wise to be prepared for colder weather. Facilities: Our camp is rustic, but comfortable. We furnish all the equipment, except personal effects, necessary to make your hunt successful and enjoyable. 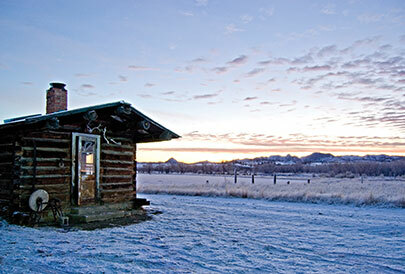 Our cabins are heated, with electric lights, and comfortable mattresses. Meals are prepared by a cook, and served family style. We furnish wholesome food and plenty of it- but we will be pleased to supply special food, if not too exotic. Our camp is readily accessible. Commercial flights are available in Rapid City, South Dakota or Billings, Montana. Rental cars are available to complete your trip. Two major roads serve Broadus, Montana. Visit our Contact Us page for maps and more information. We care for your meat, trophy horns and capes as if they were our own. The client covers the cost of freight, taxidermy, and meat processing. Booking Terms: Since we accommodate only a few hunters, you should make reservations far in advance. We require a one-third (1/3) deposit to confirm a booking. The balance is payable on arrival at camp in cash, travelers checks or money orders. Deposits are refundable or transferable to another party or hunt if we are notified of the cancellation by March 1st. After March 1st, deposits become non-refundable and non transferable. Please make final payment in cash, travelers checks or money orders. Click here for more information on pricing. Company Pledge: To hunt Montana remains a truly great hunting experience. As your outfitter and guide, every effort is made to assure you of a hunting experience of a lifetime. We personally guide each adventure to ensure a successful and memorable trip. Many of our clients are repeat guests and their satisfaction is our best advertisement. In over twenty years of outfitting, our hunter’s success has been our greatest source of pride and we will gladly provide references. 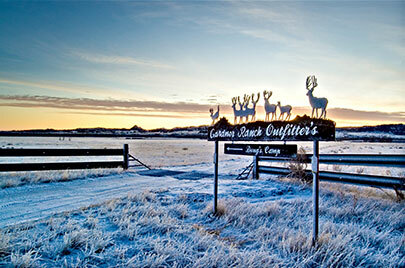 Take an opportunity to visit our gallery to view some of our successful hunts.